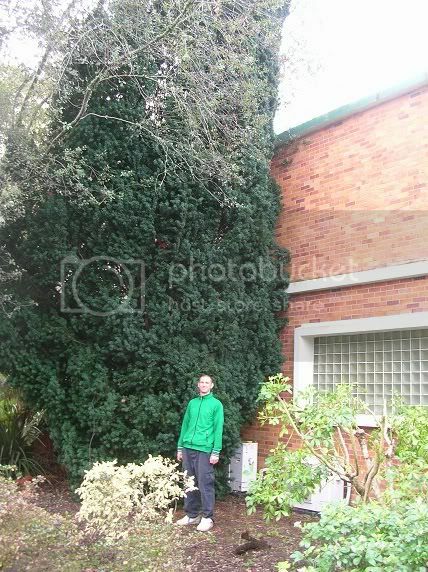 Leongatha Medieval Society :: View topic - Yew tree found!!! stop the press!!! Yew tree found!!! stop the press!!! 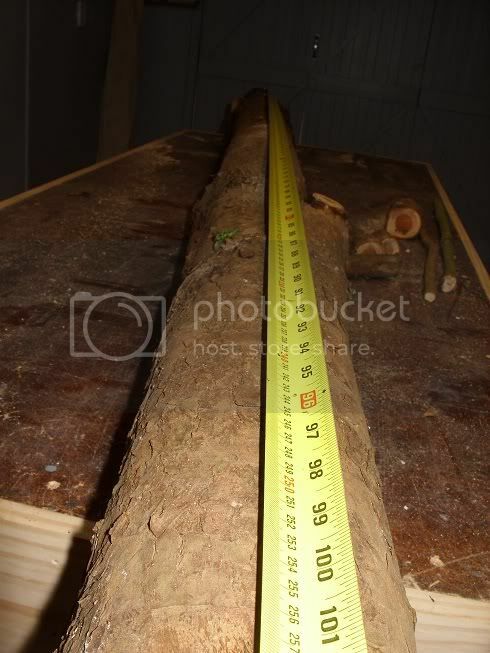 Posted: Sun Dec 09, 2012 3:25 pm Post subject: Yew tree found!!! stop the press!!! 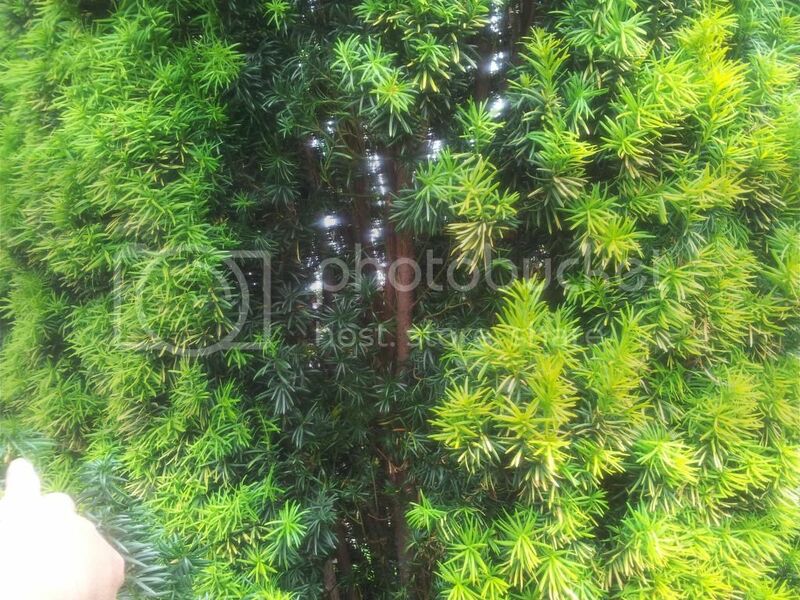 I was painting with len last week at a nice house in town (leongatha) and low and behold in the back yard was a Yew Tree! 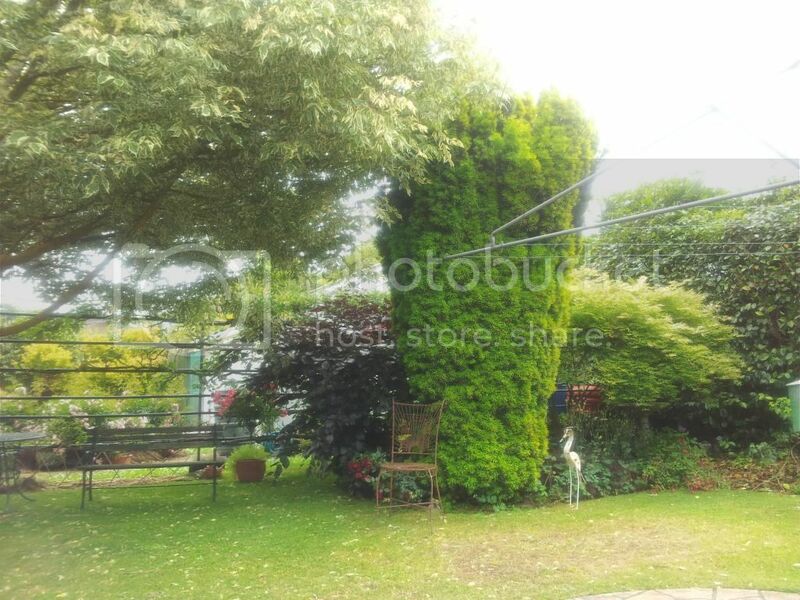 Its not every day in leongatha that one stumbles upon a yew tree. How awesome is that, before i had a chance to realy go nuts, len informed me that it was Irish yew and of the ornimental type this means "no good for bows". Its still a rare thing to see in these parts and although its not suited for bows you can see by the second photo why yew is gods gifts to archers. all the wood grows streight and up. This tree is approx 25 years old and looks fantastic. 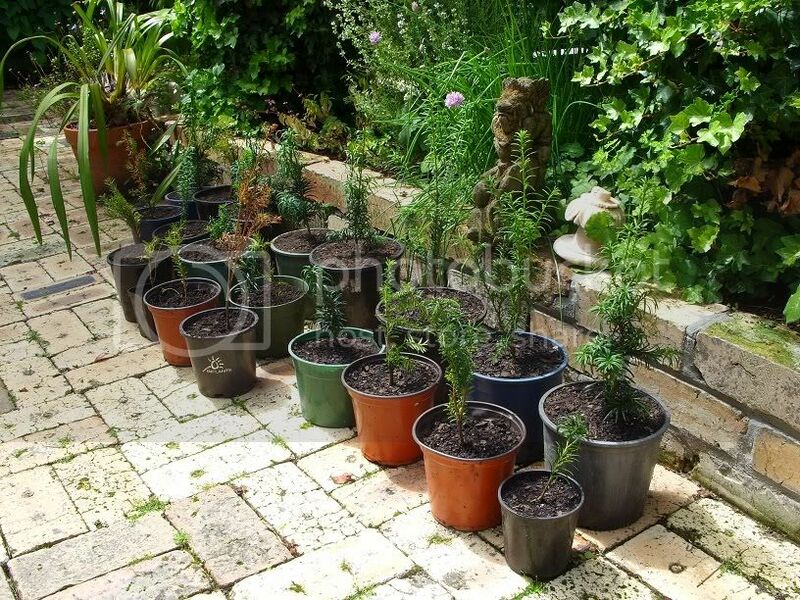 is it possible to buy yew saplings? Yep but they arent cheap and it will take about 50 years to grow a limb long enough to use for a bow. One reason Yew is so good for bows is because it is so dense the wood takes a very long time to grow and so thats why the north facing yew is best from the northern hemisphere because it gets less sun and so grows slower again. The saddest thing about Irish yew is that once you see one they seem to pop up all over the place. I have been lucky enough to find one that was worth harvesting and managed to get 2 bows out of the same tree but with very disappointing results. Keep looking mate, they are out there but if its anything like over here, incredibly rare to find the un fastigiated variety. P.S They make a beautiful Xmas wreath for your front door this time of year! Thanks Aaron, as it turnes out i look all the time at almost every tree i see now. Yew is so rare down these parts that now its just Oak and elm im looking for and forget iron bark! way to hard to cut,split ect.